The R&S®TS895x family consists of a full range of highly configurable RF test systems for user equipment (UE) and mobile phones. 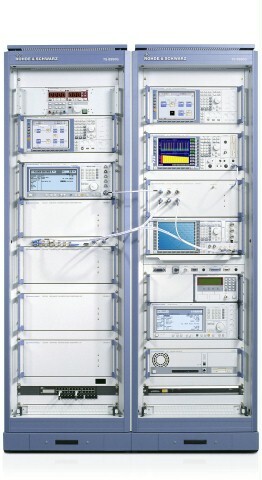 The R&S®TS8950 represents the top end of the third generation of RF test systems from Rohde & Schwarz that fulfills all requirements for RF conformance tests on 2G, 2.5G and 3G devices. Customized and standard solutions for development and precompliance testing are available with the R&S®TS8955x test solutions, i.e. the R&S®TS8955G, R&S®TS8955W and R&S®TS8955GW in various configurations depending on the required functionalities. The R&S®TS8955 uses the same application software as the R&S®TS8950. The R&S®TS8950 systems feature fully automatic path calibration routines that run with minimum manual intervention and without the need for any external equipment. Remark: Radio resource management tests, section 8, are available in a separate test setup or as an extension to the R&S®TS8950W or R&S®TS8950GW. All test cases are implemented based on test methods. The test methods are generic test applications with parameter sets that can be edited via an intuitive Windows user interface. 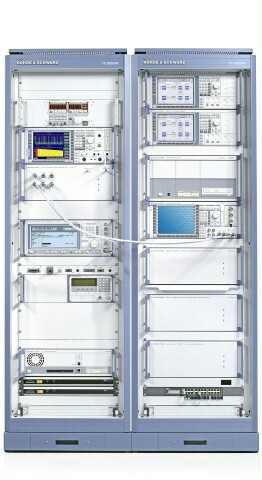 Only a few test methods are required to cover the full set of RF test cases. This approach allows a maximum of consistency between different tests and the ability to change tests or even write completely new complex RF tests with no programming effort at all. The R&S®TS8950 systems feature fully automatic path calibration routines that run with minimum manual intervention and without the need for any external equipment. This is not limited to conformance tests only. Optimum measurement accuracy is also maintained for tests that have been changed by the operator and even for completely new customer defined tests using the existing test methods. The minimum configuration for receiver tests allows to run performance and in-band receiver test cases. The path calibration can be streamlined to the content of specific test campaigns. Calibration data is then only gathered for the tests of interest – so more time can be spent on testing rather than on calibration. 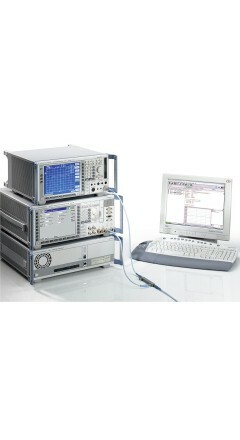 This configuration allows to run spectrum and modulation tests cases. 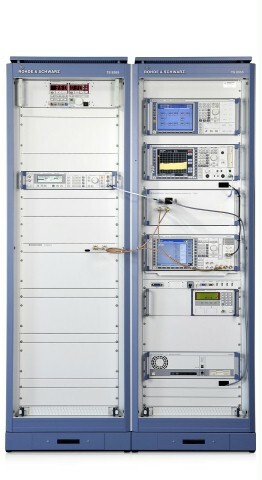 This configuration allows to run performance and in-band receiver test cases as well as spectrum and modulation tests cases. 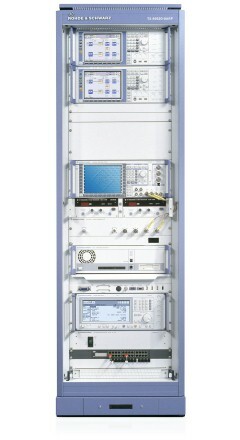 The top end of the R&S®TS8955 configurations also allows for spurious, blocking and intermodulation test cases.